Michel Foucault's death in 1984 coincided with the fading away of the hopes for social transformation that characterized the postwar period. In the decades following his death, neoliberalism has triumphed and attacks on social rights have become increasingly bold. If Foucault was not a direct witness of these years, his work on neoliberalism is nonetheless prescient: the question of liberalism occupies an important place in his last works. Since his death, Foucault's conceptual apparatus has acquired a central, even dominant position for a substantial segment of the world's intellectual left. However, as the contributions to this volume demonstrate, Foucault's attitude towards neoliberalism was at least equivocal. Far from leading an intellectual struggle against free market orthodoxy, Foucault seems in many ways to endorse it. How is one to understand his radical critique of the welfare state, understood as an instrument of biopower? Or his support for the pandering anti-Marxism of the so-called new philosophers? Is it possible that Foucault was seduced by neoliberalism? This question is not merely of biographical interest: it forces us to confront more generally the mutations of the left since May 1968, the disillusionment of the years that followed and the profound transformations in the French intellectual field over the past thirty years. To understand the 1980s and the neoliberal triumph is to explore the most ambiguous corners of the intellectual left through one of its most important figures. DANIEL ZAMORA is a PhD candidate at the Free University of Brussels and his work on Foucault has been widely published. MICHAEL C. BEHRENT is Associate Professor at Appalachian State University. 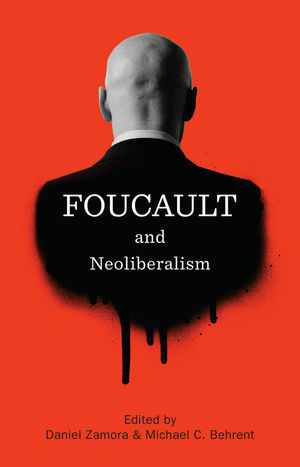 6: The Unfulfilled Promises of the Late Foucault and Foucauldian "Governmentality Studies"
"In recent years, Michel Foucault has garnered a reputation as a fierce critic of the neoliberal order, especially through his analyses of micro-politics and governmentality. But the essays in this terrific collection raise important questions about Foucaults relation to neoliberalism. They show that Foucault himself was quite sympathetic to some of its core elements, and, more importantly, that his theory has in many ways diluted the intellectual resources that might enable more successful resistance to it. The book is a must-read for anyone interested in critical social theory and in contemporary political culture."